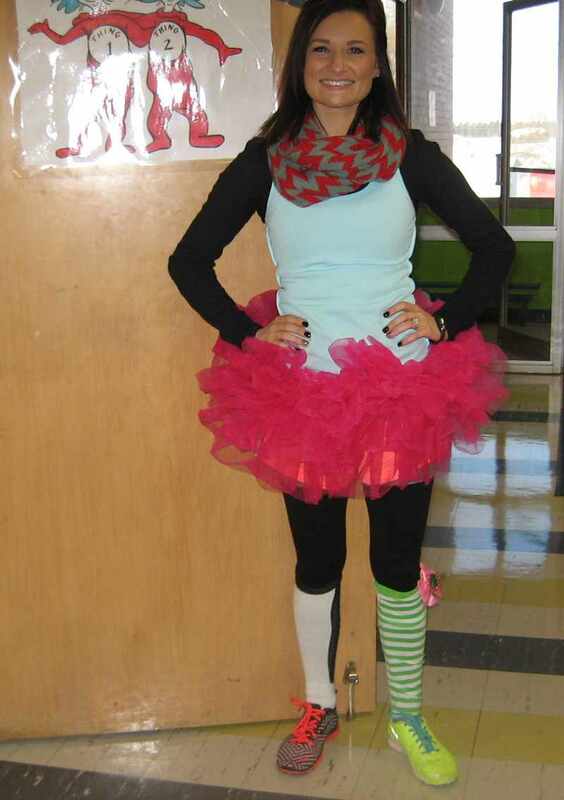 A fun week at the Elementary School was planned to honor the 110th birthday of Dr.Suess, a famous writer of children’s books, and to promote reading. Monday was Cat in the Hat Day where teachers wore tall round hats, as the character in Dr. Suess’ book did. Kids wore any kind of hat, and red and white clothes. Tuesday was My Many Colored Day where each class wore a different color. They guessed the number of cracker fish in a jar. 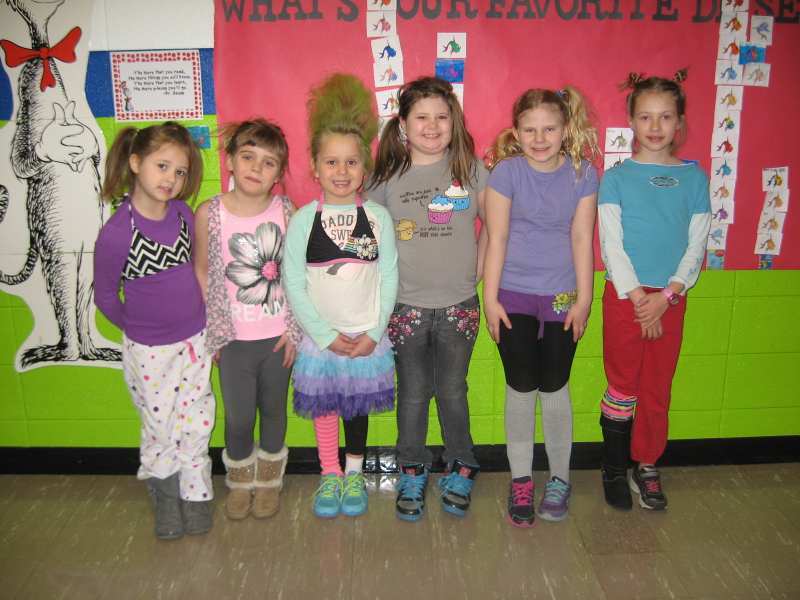 Today, Wednesday, was Wacky Wednesday, where students and teachers wear “wacky clothes” as pictures of these girls and Brittany Bromley, 2nd grade teacher, show. Thursday will be I’m Not Getting Up Today where pajamas will be worn. 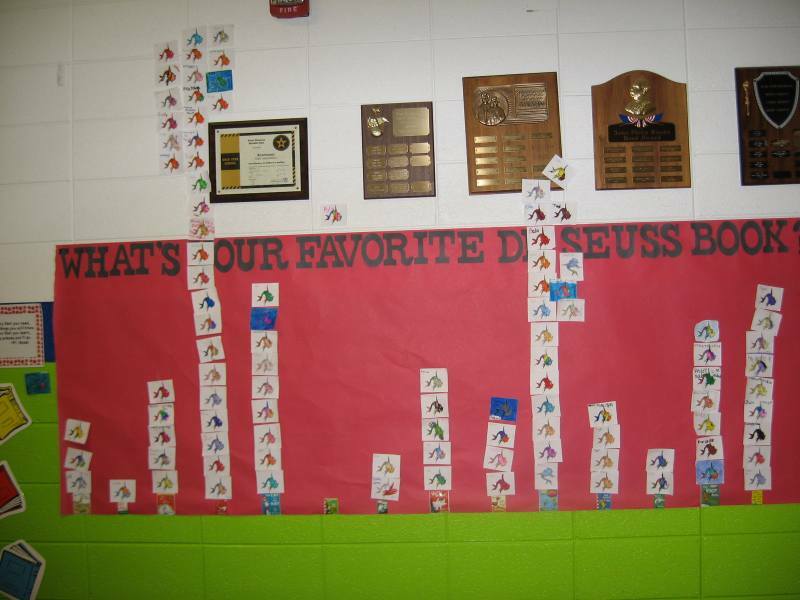 This picture shows a survey of students that picked “Green Eggs & Ham” as their favorite Dr. Suess book, with “The Lorax” second. I can remember reading “Green Eggs & Ham” with my kids, so it is OLD and stood the test of time.